Grassroot Soccer (GRS) is leveraging the power of soccer to engage constituents in #GivingTuesday by partnering with key supporters in the soccer sphere to raise awareness of HIV & AIDS among youth in Africa and drive support for our youth HIV prevention education programs. With World AIDS Day falling on Dec. 1st, GRS and our partners will be focusing our #GivingTuesday campaign on the key role soccer can play in the global movement to create an AIDS-free generation. The campaign will be identified on social media as #GRSGives. #GivingTuesday, taking place Dec. 3rd, harnesses the collective power of a unique blend of partners—charities, families, businesses and individuals—to transform how people think about, talk about and participate in the giving season. #GivingTuesday – the Tuesday after Thanksgiving in the U.S. – will harness the power of social media to create a national moment around the holidays dedicated to giving, similar to how Black Friday and Cyber Monday have become days that are, today, synonymous with holiday shopping. Grassroot Soccer and premier online soccer retailer World Soccer Shop will be partnering to leverage consumer’s buying power for our cause. On Dec. 1st, World AIDS Day, World Soccer Shop will be launching a line of GRS-branded gear, with a portion of proceeds from sales being donated to GRS. On #GivingTuesday, for each purchase made at http://www.worldsoccershop.com on Dec.3, the retailer will donate $1 to GRS. This includes site-wide purchases, not exclusive to GRS-branded gear. With support from partners in the sustainable business, nonprofit, professional soccer, and media sectors, Grassroot Soccer will be hosting an online fundraiser on #GivingTuesday to drive support for our work. These key partners include One World Futbol Project – award-winning, mission driven B Corporation that makes, sells and distributes the One World Futbol, a nearly indestructible ball that never needs a pump and never goes flat—even when punctured, Major League Soccer teams (Seattle Sounders, Portland Timbers, National Women’s Soccer League team Portland Thorns FC, and soccer publication Howler Magazine. GRS will be selecting donors at random on #GivingTuesday to receive prizes donated by partners (Contest rules available here – no donation required for entry.) Donations can be made online via the GRS website. 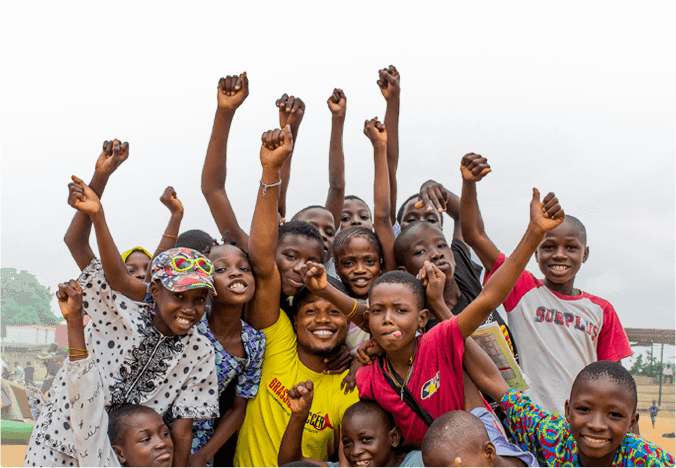 We encourage you to follow GRS and our #GRSGives partners on social media to engage with the campaign and turn your online action into real change for youth in Africa!